The Montreux URComfort® Duplex Sling lounge chairs beckons, promising solace and relaxation. URComfort® seating adapts to the movement of your body, settling in the most comfortable position. It won’t move until you do, and only then to return you to serenity. Utilizing multiple pivot points that allow the movement of both back and seat, the Montreux URComfort® Duplex Sling is a pathway to bliss. Designed by Peter Homestead, the Montreux collection is sturdy, stylish and jazzy — delivering comfort. And it’s available in a variety of styles, finishes and fabric options. 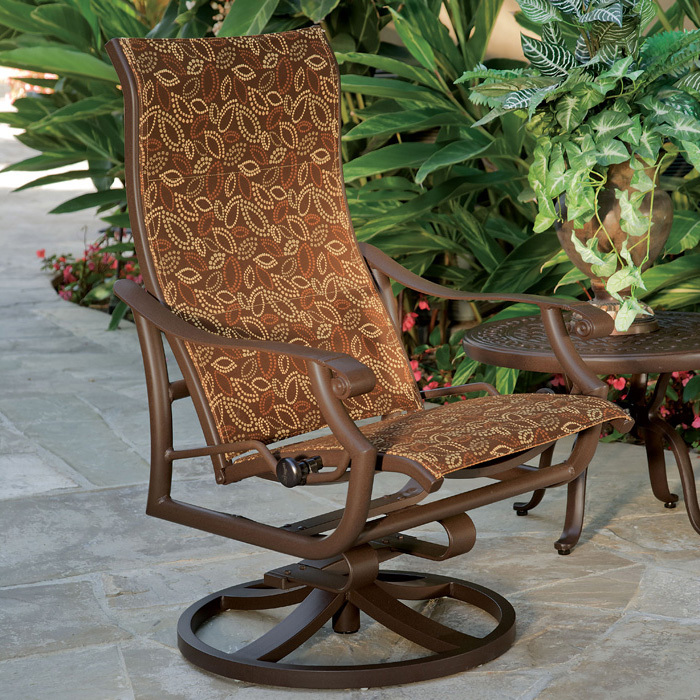 Montreux URComfort® Duplex Sling lounge chairs are the perfect way to experience peace and well-being outdoors.